Arif promised to become skilled and powerful enough to prevent his friend's death. 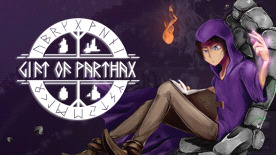 Beating all enemies in Atixa's grand arena and receiving the Gift of Parthax might be his only chance to do so. Unleash Arif's power and survive several seasons with waves of mobs and mighty bosses with the help of customized and enhanced spells, to defeat the champion and claim the main prize.